After EA announced its press conference would be replaced by multiple live streams at E3 2019, a number of other publishers have been encouraged to reveal their own plans. E3 is coming, and on Sunday, June 9 (5:30PM PT), Team Bethesda returns to Los Angeles for our 5th Annual Bethesda E3 Showcase. It’s going to be a hell of a night. 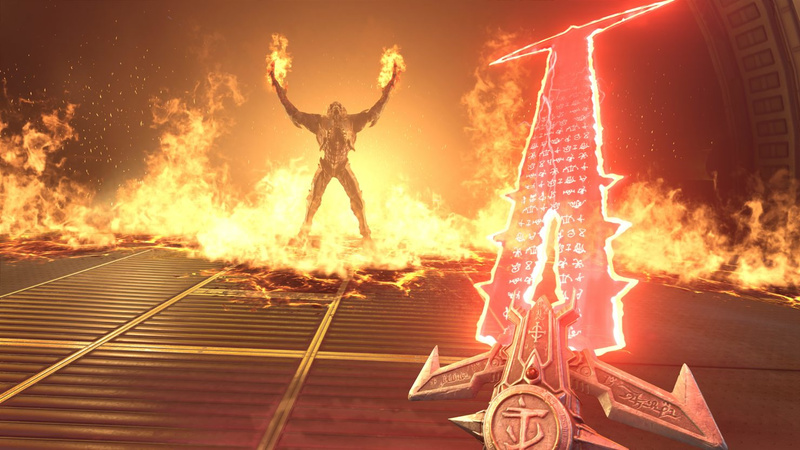 We have got an in-depth look at DOOM Eternal plus much, much more. In celebration of the event, Bethesda is also planning to invite more of its fans with official invitations. More details - including how to register - will be shared soon. The social media hashtag for this years even is #BE3. Based on the announcement, it seems we'll be getting an in-depth look at DOOM Eternal. This game was previously announced for the Switch and multiple other platforms last year. Are you excited for this year's E3? Expecting any other Switch announcements from Bethesda like previous years? Tell us below. Fallout on Switch? I'd be content with a New Vegas port, but something built from the ground up for Switch would be ideal. Fallout on Switch would make my life. Man, I hope we get another port of Skyrim. Then we'll know the Switch has made it. Also NV. Please. And Prey. And Dishonored. More Wolf and Doom. Two tacos and a Dr Pepper. Rage 2... If possible. Im not greedy. Bethesda RPGs have been increasingly less RP, so I'm not exactly thrilled at the prospect of another TES or Fallout game. I hope to see more Switch games from Bethesda soon. More Elder Scrolls ports for the Switch. Fallout 3/4 on Switch would make my year!!! @Li_N_K that game won’t be ready doe another five or six years. @PhilKenSebben didn’t they announce that mobile spin off called blades of something? Just bring Fallout to the Switch already. I hope to see The Evil Within 2 and Rage 2 announced for Switch.and 2019 release dates for Doom Eternal and Wolfenstein Youngblood. I would buy any Fallout game except 76 of course! Just give us Fallout 3 GotY, Fallout New Vegas Ultimate Edition and the most unlikely Fallout 4. However I doubt that they could event fit Fallout 4 on a cartridge! Man, Bethesda is boring! Can't it just be tgs already. Or another Nintendo direct. "The social media hashtag for this years even is #BE3"... Err event? On a less pedantic note, when they aren't waffling on about Fallout and elder scrolls, Bethesda publish some pretty decent games. Rage, Dishonored and Doom are all very fun games. Can't wait to see more! Introducing creation engine 1.5! Half the glitches of Skyrim with a day one patch double the size of the game itself! I think E3 is going to be quite interesting this year - especially from a Switch standpoint. 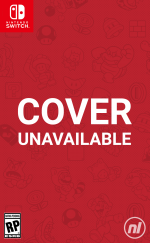 Third-party developers have had a couple of years now to get familiar with the system, so I have hopes that we will be seeing more than just old ports being announced for the system. I really hope that Bethesda shows off the Switch version of Doom Eternal. I know it's not the flagship version, but I know they were pretty proud to announce it for Switch - as well as treating as a first-class citizen, so I hope they give us something Switch-related regarding the game. Do people actually care? I mean, Fallout 76 is a unfinished, refurbished, soulless game. I love The Elder Scrolls, but I'll never buy a game from Bethesda before checking several in depth reviews again. Has anyone said "Oh whatever they bring out I'll get on my high powered overclocked PC" yet? I've all but given up on a Fallout game for the Switch, but I'd still like to be pleasantly surprised if it was happening. TES Legends at long last, perhaps? I've even attempted a sneak peek on Android, but the game demanded almost a gigabyte of extra download, and it was back when I was still on my Galaxy A7/16. Otherwise, I'd be mostly holding out for Arcane stuff. TES Online folks still have storage-themed doubts, and pre-Skyrim TES games have mythical odds on any console. @AlphaElite not before Skyrim VR for Nintendo Labo. I need to see what Starfield looks like. I've been waiting for Bethesda to announce this for 5 years before we got it at E3 last year. A Space RPG from BGS is one of my dream games. Fallout 76 was clearly them being experimental and hopefullythey learn from the mistakes they made with that game. @Li_N_K - Elder Scrolls VI is years away. Doom Eternal, Elder Scrolls Blades, and Elder Scrolls Legends were announced for Switch at last year at the Bethesda E3 conference. Personally, I'm hoping for the announcement of more Switch ports. Prey, Fallout series, Dishonored series, The Evil Within series, or maybe even Rage 2. Well if you want bugs fixed, you'll need player created mods. Doom Eternal is my most anticipated game of 2019. Even though I'm getting it for the PC, it will still be interesting to see how the game runs on the Switch, since they did such a good job on the port for Doom 2016. Correct me if I'm wrong, but hasn't EA not actually done actual E3 press conferences for a long time? They have a real E3 booth, and I don't believe that's changing this year, but their conference was always Sunday, outside the actual (paid) E3 conference. Technically Microsoft/XBox's conference isn't actually an E3 event either, but a separately hosted event outside (but they participate in E3 itself, with a massive floor booth.) So for EA this isn't really a change, they're just finally killing off their horrendous non-E3 conference and replacing it with the pre-recorded stuff. Bethesda's Sunday show is technically not E3 either, so no change, but they also do floor space at the event. So far the only one that's ACTUALLY not doing E3 remains Sony. Which remains just as bizarre as always. Skipping the conference makes sense if PS5 isn't ready to unveil, but not having floor space remains bizarre. I'm still hoping the gaps created by Sony's exit and others downscaling makes room for some sidelined players to have a bigger show. Some kind of Sega show, a bigger Squeenix show would be great. I'd love to see a Vegas port. All I wanted this year was Doom Eternal news, so Bethesda's conference is almost sure to satisfy me. Doom Eternal and Elder Scrolls VI! would love to see Fallout 3, 4 or NV ported to the switch. I think oblivion HD remaster could be interesting too. "this years even is #BE3." - Missed a t on event. Still, no harm. Typos happen, so does bad grammar. People mostly don't speak as proper grammar would be. I don't always catch Nintendo's E3, because I sometimes have other things that are more important. However, I do enjoy the E3 streaming here, and the livechat. A nifty community event. if i were you i wouldn't expect switch footage of doom eternal yet. as a matter of fact, i'm pretty sure the switch version will be delayed because of how hard it must be to make this game run on switch. Now if only we can get a Quake reboot that is a successor to Quake 1 with its bases and castles. @Bermanator This post requires a "MEGA-Like" button, because a single like is insufficient. I just want them to bring fallout back to an actual rpg like New Vegas. Fallout 4 seemed like it took every bad rpg trend only and none of the good ones. Like skill points, being able to have multiple options for quests and dialogue instead of just yes. The weapon mods made every item feel similar. The settlement building became a pointless chore. Able to f up and kill important plot characters, oh how I wish I could murder Preston. After Fallout 76, there's nothing I want from their internal studio. But I wouldn't mind some news on games like Rage 2, or Doom Eternal. I'd even be happy about some ports of less recent games, like Prey. That being said, it's a toss-up on whether I bother. Bethesda is becoming infamous for announcing things way to early, and grossly overhyping things. I still have hope for their external studios. But not in them, or their marketing. Sure will be exciting to hear about Bethesda porting Skyrim to the Google Stadia...! @Heavyarms55 The sage bet of a port is they can't shove micro transactions in. Then again, Nintendo wouldn't like that so much as they have only just started it with mobile gaming, themselves. @Jayofmaya Bethesda isn't the kind of company I would instantly assume wants to do tons of micro-transactions. They aren't EA. @OnBeingHuman I am with you! While this is an odd comment to put on a news post about a company that ISN'T doing this, I'd like to point out a LOT of companies are going the route Nintendo's started going back in 2014. We're getting a significantly lower number of stage-floor presentations than we did ever. And even though PlayStation won't have an E3 presence, I would not be surprised if they had a State of Play/knockoff Direct around that time.